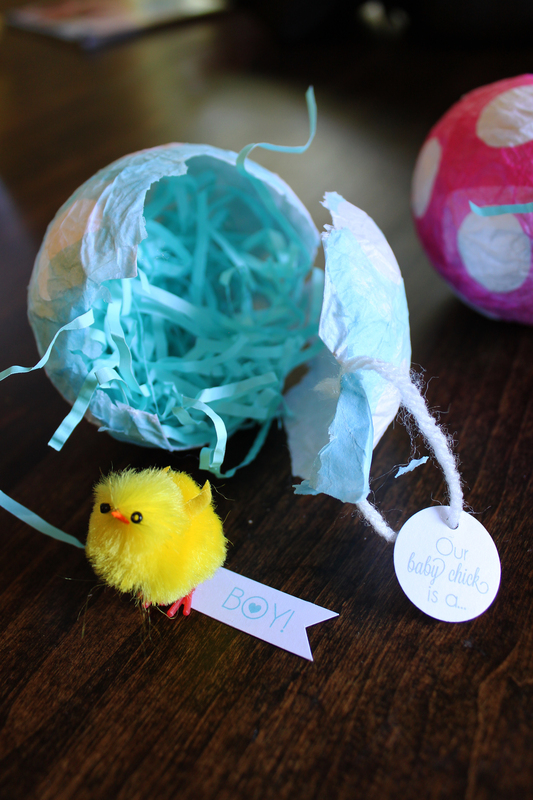 We wanted to tell our families about the boy in person, so we waited 2 weeks before telling my family and 4 before telling the in laws on Easter! No, I didn’t even tell my mom early. Glutton for punishment, I tell you! Anyhow, since we were telling everyone right before and on Easter, we went with an Easter theme. 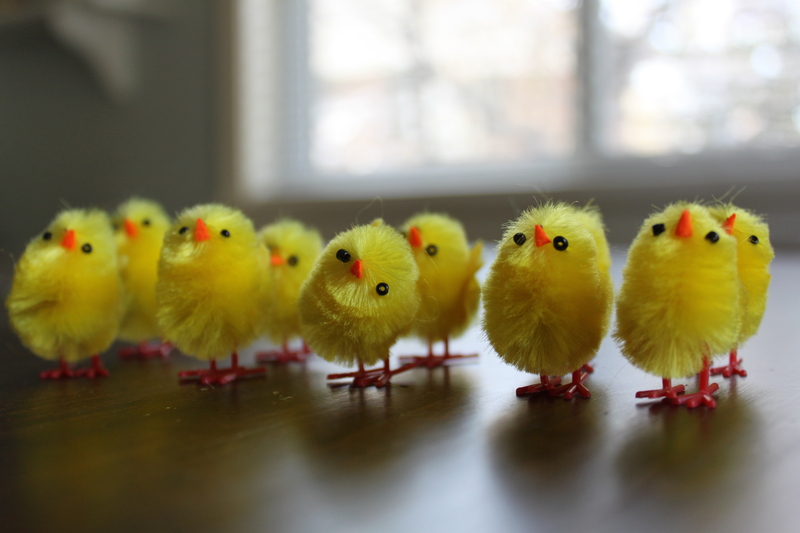 I had too much fun with my little chicks…. One of my baby chicks goofing off. Looking back, it would’ve been much easier just to buy plastic eggs (I made nearly 20 eggs and had about 15 hours in making these suckers! ), but I don’t do things the easy way. ha. And it was honestly good to have something to keep my hands and mind busy while I was impatiently waiting on our appointment and then while waiting to tell our families. sure you could have used plastic eggs but they wouldnt have been nearly as cute 😉 GREAT JOB MOMMA!! 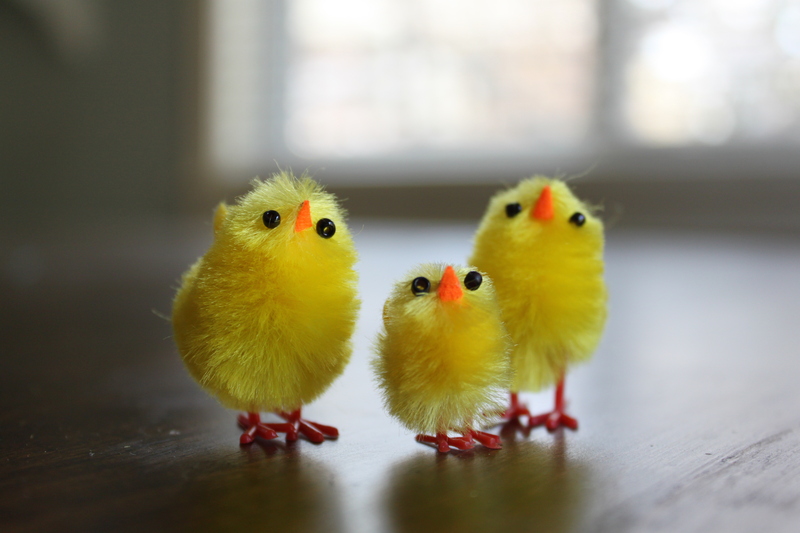 How did you make the little chicks?! So cute I want to make!